Branched, Cont.= 8,5 cm. Succulent small shrub, native to South Africa, up to 15-40 cm high, branched. Leaves are fuzzy and green with 4-5 prominent teeth at tips that give the impression of paws. Showy inflorescences are produced in Spring. 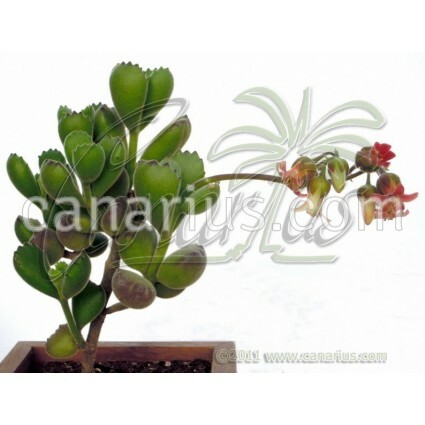 Succulent small shrub, native to South Africa, up to 15-40 cm high, branched. Leaves are fuzzy and green with 4-5 prominent teeth at tips that give the impression of paws.